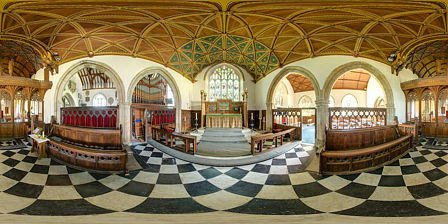 I’ve just updated six of the 360° panoramas from my series of Cornish Parish Churches. The original panoramas were some of the first ones I ever made and although I thought they were quite good at the time I’d become increasingly dissatisfied with them. The ones I’ve replaced are St Ervan, St Mawgan, St Columb Major, St Columb Minor, St Wenn and Withiel. 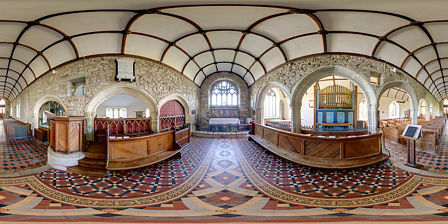 I was very lucky at St Columb Major that the church warden was there as the rood screen entrance to the chancel is normally locked, but she was more than happy to let me in. 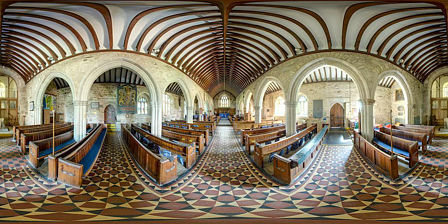 The chancel roof is a particularly fine example of Victorian restoration. This entry was posted on Wednesday, September 2nd, 2015 at 2:43 pm and is filed under Photography. You can follow any responses to this entry through the RSS 2.0 feed. Both comments and pings are currently closed.